The Netherlands has always had a strong if not underappreciated presence in the international metal scene. At the genre’s inception and earlier days Holland had important figures in the likes of Altar, Asphyx, Gorefest, Pestilence and Thanatos – alongside these generally more known outfits were also lesser known entities such as the female-fronted Acrostichon and underground stalwarts Sinister. While other regional players went to commercial and critical success, Sinister was largely crippled by ongoing personnel problems, infighting, label changes and bouts of creative inertia that helped little to forward the band’s profile and reputation, domestic and abroad. “Diabolical Summoning”, the band’s first studio effort after their more thrash-oriented debut from 1992, sounds by and large as Mortification’s “Scrolls Of the Megilloth” and Monstrosity’s “Imperial Doom” that were released the year before. The Monstrosity comparisons only ring true in the faster paced segments, and nowhere are the band as technically gifted as their American contemporaries. However like their Australian peers the band make do with the skill level that they have and produce some wonderfully dark music that way. In a scene bursting with individual talent, Sinister was able to sound like no other in the country. They mixed sounds of Europe, America and Scandinavia in a battering, conflicting style that emphasized the strength of each regional influence. Sinister weren’t the first to fully embrace the anti-religious, abstract horror influenced sub-branch of death metal. 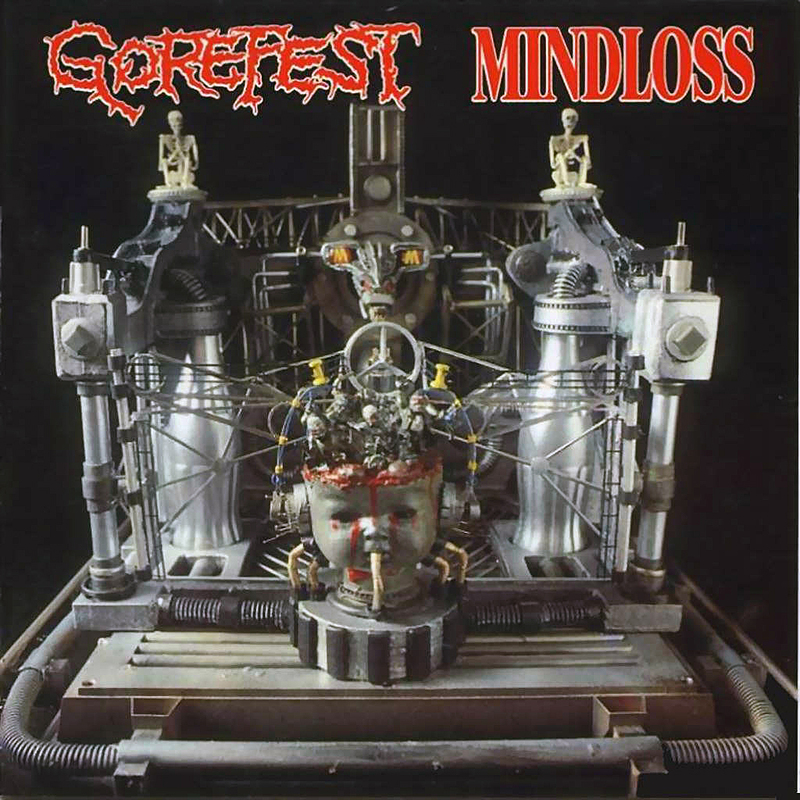 Gorefest had been peddling the splatter gore with their debut “Mindloss”, and Thanatos were going for a more cinematic interpretation of horror flicks from the decades before. 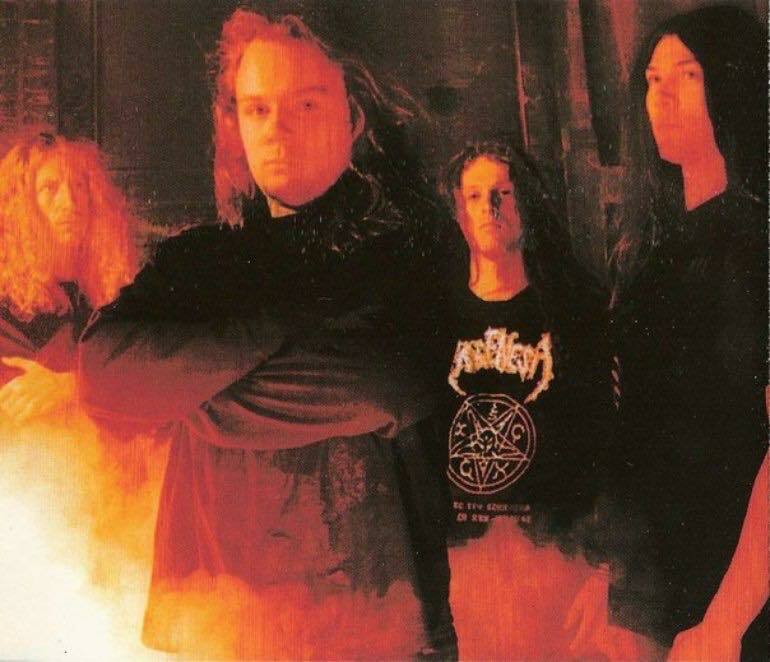 Asphyx and Pestilence both dwelled in themes of horror and earthly societal subjects, but Sinister found their niche early on and perfected it to a considerable degree. Even though one is hard pressed to call any of these records genre defining or timeless, they were of importance to the surrounding scenes, locally and regionally. The three albums that Sinister released in the period from 1992 to 1995 are underground classics. Everybody might not talk about them often, or at all – but that doesn’t change the fact that these records were important when they were released. The album kicks off with ‘Sadistic Intent’ that thanks to the thundering bass-break that introduces the track, the wholly monstrous grunts of Mike van Mastrigt and the sophisticated and blast-heavy drumming by co-founder Aad Kloosterwaard makes a big impression. Unlike a lot of other bands in this genre the bass guitar is actually important to the composition, and outside of this track it also is key in another cut, namely the video track ‘Leviathan’. It also helps that Sinister regularly includes leads/solos, while these are mostly of the Hoffman variety, they add to the overall presentation. ‘Magnified Wrath’ is important in the sense that it lays the groundwork for the next album, and in particular the closing track ‘To Mega Therion’. Kloosterwaard’s percussive abilities are more than impressive, especially his footwork and cymbal crashes. While his fills aren’t very creative, his style is direct and confrontational. There was nothing ornamental about Sinister’s music even at this early stage in their existence. Everything is aimed at maximum impact. Subtlety be damned. The title track is very reminiscent of what Cannibal Corpse was doing at the time, and sounds somewhat in between “Butchered at Birth” and “Tomb Of the Mutilated” in delivery and guitar work. ‘Sense Of Demise’, outside of the drum-vocal introduction, is similar to what came before and functions mostly as a slower paced track to introduce the promo single ‘Leviathan’. ‘Leviathan’ starts off with a spooky bass intro and the pace is kept deliberately low as to give the cut a light doom aura that fits the occult horror lyrics. This is also the longest cut of the album lasting well over 5 minutes. In a way this track goes for an early Morbid Angel vibe in the slow parts, although the blast sections work well within the provided doom-laced framework. The drumming really shines here as the track’s slower pace gives Kloosterwaard the space and time to show off his skilful footwork, while fills and rolls were never his forte at least he gets to stretch his legs a bit stylistically here, more figuratively than literally in this case. ‘Mystical Illusions’ is a strong album closer. For this record Sinister consisted of Mike van Mastrigt (vocals), Aad Kloosterwaad (drums), Bart van Wallenberg (bass guitar) and André Tolhuizen (rhythm/lead guitars). “Diabolical Summoning” was recorded at TNT Studio in Gelsenkirchen, Germany with producer Colin Richardson. The incredible cover artwork rendered was by the much in-demand and widely appreciated Wes Benscoter. This is the last album of the original Sinister line-up, as Tolhuizen would exit after these sessions. Van Wallenberg would take up guitar duties for the third album “Hate” and its two follow-ups that were written in the same style, despite other fluctuating positions within the band. In all this is the best record of Sinister’s early years and style, although the band’s third opus “Hate” is more atmospheric - this was the band’s defining moment.